Made from the bark of the Lokta bush, this handmade origami paper from Nepal provides stiffness and durability for any origami folding project. Each sheet features a solid midnight black color on both the front and back of the paper. 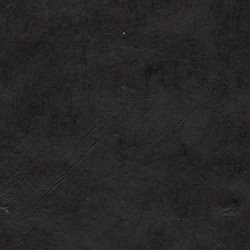 Each sheet features a solid midnight black color on both the front and back of the paper. Choose from 2 sizes: 6" or 9". The six-inch pack contains 12 sheets of paper while the 9" pack contains 6 sheets of paper. Because the paper is handmade, there may be a slight variance in weight/color from sheet to sheet.